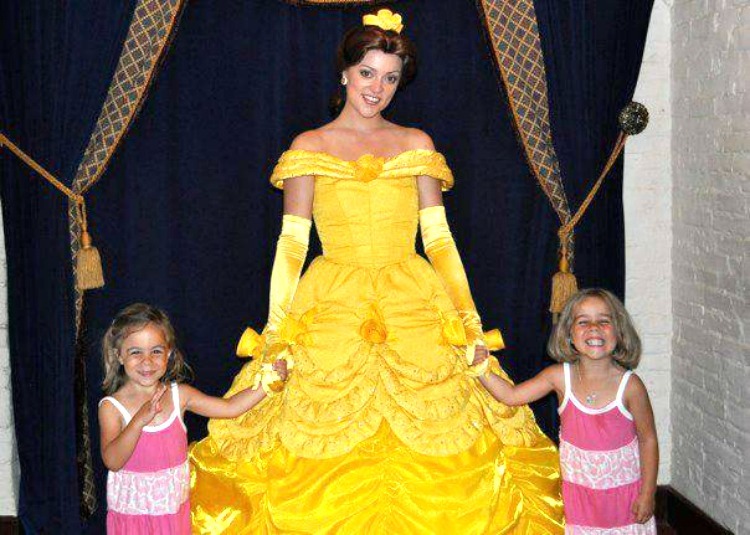 Home » Blog » Ask a Traveling Mom » Ask a TravelingMom: Disney Trip – Seeing All the Princesses! 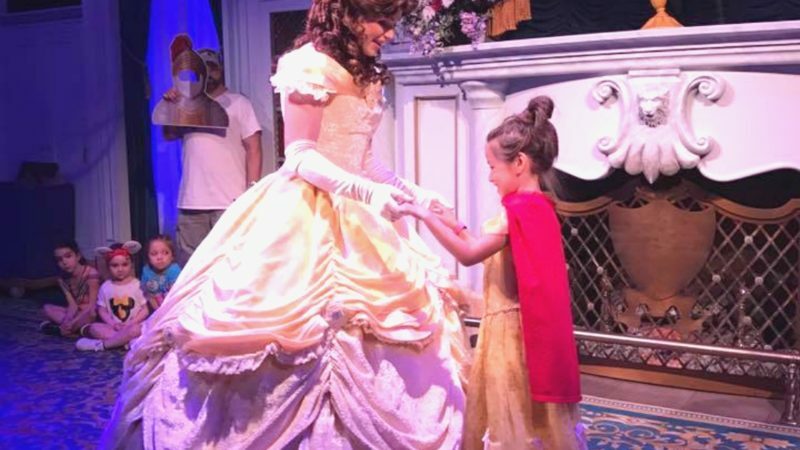 One of the most special travel moments is taking a little princess to Disney World for the first time. How can parents and grandparents make it super special? Here is a question from one of our readers on that very topic. Our family travel experts weigh in with some of their insights and enthusiastic advice! 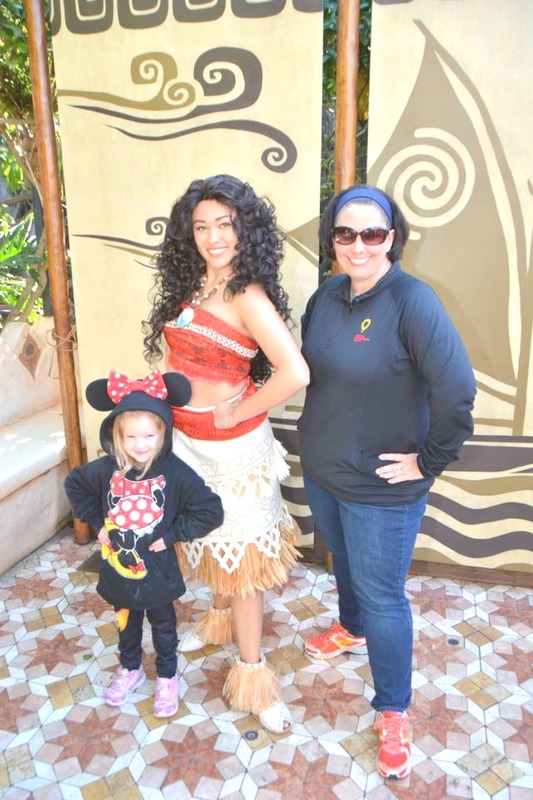 A mom and her little princess can enjoy meeting a Disney princess like Moana! For many it’s a right of passage – traveling to Disney for the very first time. We asked some of our TMOMs, and they shared how to make special lifetime memories for the young princess on her first visit! Geek TMOM Jana Seitzer offers this sage advice for the start of the trip: First time, princess-loving has to hit MK on the first park day of the trip !! Character dining is a must and Akershus would give her access to several princesses in one swoop while saving time. Akershus – 1 dining credit, on Epcot day. Cinderella’s Royal Table… very special experience, but hard to get reservation! 2 dining credits, Magic Kingdom day. Planning Advance Dining Reservations around park days will really help on efficiency. Make some ADRs (advance dining reservations) now! I’d also strongly recommend making an appointment to Bibbidi Bobbidi Boutique…. on a princess dining day, if possible. Inquisitive TMOM Amy Albers has a recommendation once you are there for your visit: Look at the park hours for each day. You can visit the parks with Extra Magic Hours just for resort guests to get more time. Also, you can schedule a dining reservation before park opening. Great way to get amazing pictures without lots of other people in them. Twin princesses meeting one of their favorites of Disney royalty: Belle! What about the ins and outs of making dining reservations in advance? 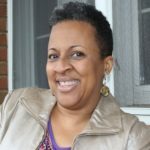 Active TMOM Kimberly Tate says this: Keep calling back and install the app to keep checking for reservations that might open up. Special Need TravelingMom Kathy Penney says that persistence is KEY: If her heart is set on a particular booked experience, a cast member gave me this tip when I was stalking Jingle Bam. Most cancellations happen the week before, the week of and even the day of the event. Keep trying!! Touringplans.com has a great reservation alert that will text you when a spot opens up. We’ve always been able to secure reservations we wanted this way. Quick Weekender TMOM Renee Virata shares a little more on how TouringPlans.com works: You enter in what you are looking for and they will email and text you when it comes available. You then have to go in and secure the reservation yourself, so you have to be quick! The Disney site is notoriously buggy. Try searching with different filters and at different times. I’ve sometimes not found any reservations available when I put in an 8:00 a.m. time but when I switch to 8:30 a.m., multiple ones show up all morning long. Change up the filters and keep trying, both on the app and on the website. 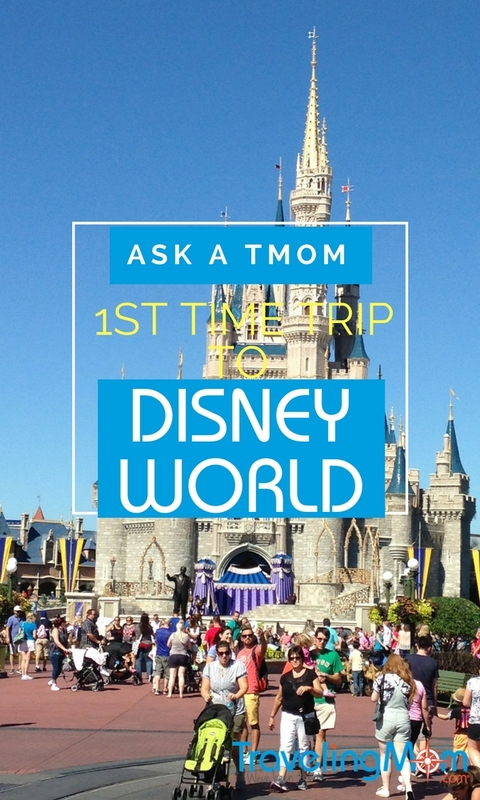 Seasoned TMOMs share their insights: making a little princess’ first time Disney trip most memorable! Consider buying Disney gift cards over time in advance so they’re not on a budget or worrying about how much will be waiting on a (credit) card at home after on their trip. Also, make sure to capture the memories! Get the Memory Maker and I’d really suggest a special piece of Pandora for her! Thank you, Mel H., for your fantastic question! We hope that we have helped to get you going in the right direction with planning your adventure at Disney with your little princess.